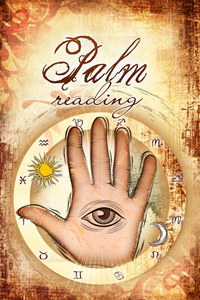 While the origin of palm reading varies from culture to culture, it is known to be one of the oldest forms of fortune telling and practiced across the world from India, China, Ancient Israel, Babylonia and more. It is still used today to give insight to a person on everything from length of life to romantic advice. A palmist (one who reads a person’s palms) uses identifiers like finger length, flexibility, skin texture and more to recognize your inner self and help share this with you. Call on Sylvia today for a palm reading to uncover the secrets hidden in your own hands.